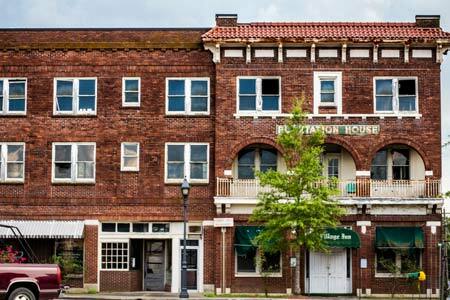 The old hotel building that has stood vacant and deteriorating for some many years on Edgefield’s Town Square may have a new life if the Edgefield Civic League gets their way. The organization, a non-profit group first established in 1928 and reorganized at the beginning of this year, has applied for an approximate $3.5 million loan through the USDA in order to purchase the property from its current owners, Plantation House LLC, and turn the former hotel into an independent retirement living community for seniors. This would not be a nursing home but rather a 17 unit apartment complex for seniors who can live on their own. In addition to the living quarters, which would be comprised of two bedrooms and a small kitchen area, the building would have space to house three retail businesses on the first floor. There are no specifics as to what types of retail may occupy the space at this time, however. Edgefield Town Administrator Roger LeDuc, who spoke with The Advertiser in regards to this project, said the ECL applied for the loan to finance this undertaking in the spring of this year. However, the two-part loan process is still in its early stages; the ECL is expecting to hear in a few weeks if this initial stage of the application has been approved. Once the preliminary application stage is completed, the second stage, which will include such things as a market study and financial analysis, will begin. The organization is hopeful to have final approval of the project by the end of the year. Construction on the building would begin thereafter. Doug Timmerman, President of the ECL, called this undertaking a “monumental project” when speaking to The Advertiser about it Monday, Aug. 12, but said the ECL is “enthusiastic about it.” Mr. Timmerman said the intent of his organization is to assist the town and community by improving the environment through the hotel’s renovation. Mr. Timmerman confirmed this project may be the hotel’s last hope for utilization, as its current owners have no plans for it. 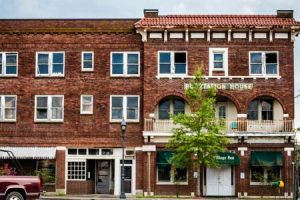 3 Responses to "New Life Planned for Edgefield’s Old Hotel Building"
So happy someone is finally going to do something with it. Was parked in front of it the other day, thinking about long ago telling my grandchildren about it. Our “Papa” Harling lived in the old hotel and we would go there every Sunday to pick him up and bring him home to lunch after church. He kept lemon drops in his room and occasionally in his pocket. I have beautiful memories of him living there~ I have always yearned to see life reinstated to the old hotel.